The Vancouver Island Chapter of CSC is organizing a new year’s celebration to be held on Thursday, January 11, at Victoria Caledonian Brewery and Distillery. 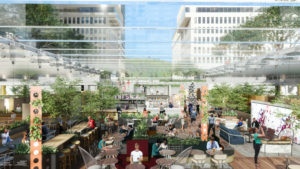 Rendering of a four-season public garden with a glass roof at Montréal’s Place Ville Marie Esplanade. 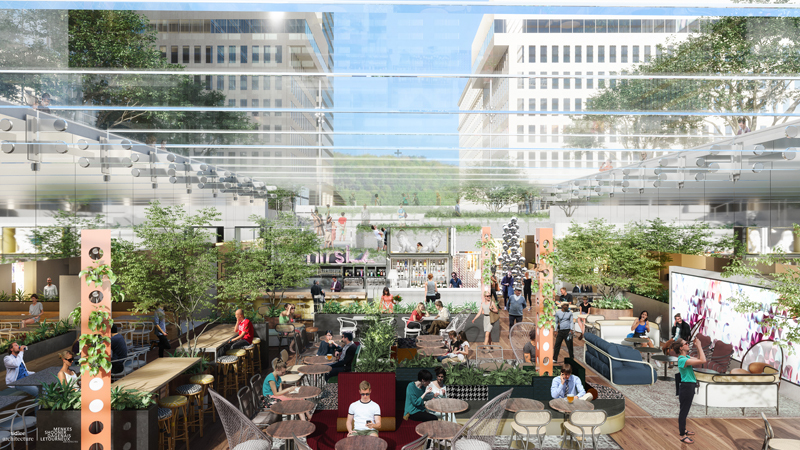 As part of the $200-million revitalization of the Place Ville Marie Esplanade in Montréal, residents will soon enjoy a brand-new concept: A gourmet biergarten in the city’s downtown. Imagined by Sid Lee Architecture and A5 Hospitality, and executed by Sid Lee Architecture | Menkes Shooner Dagenais LeTourneux Architects in consortium, Le Carthcart Restaurants et Biergarten will open in late 2019. The 3252-m2 (35,000-sf) space will come to life under the future glass pavilion of the Place Ville Marie Esplanade. It will offer seating for more than a 1000 people with 15 restaurant concepts, such as resto-bars, bistros, and cafés. The site will also have a multifunctional space. In the spirit of the biergarten, the space will have a bright and spacious interior garden. As a lively urban square in the heart of a busy district with festive terraces, Le Cathcart Restaurants et Biergarten will echo Montréal’s lively street vibe, acting as a true indoor extension of the city.